Here’s an easy hack for making no-fuss poached eggs. Fill the holes of a six-hole silicon muffin pan with 1 tbs water. Carefully crack an egg into each hole. Bake in an oven preheated to 200°C for 12-15 mins. Carefully remove the poached eggs from the muffin pan. 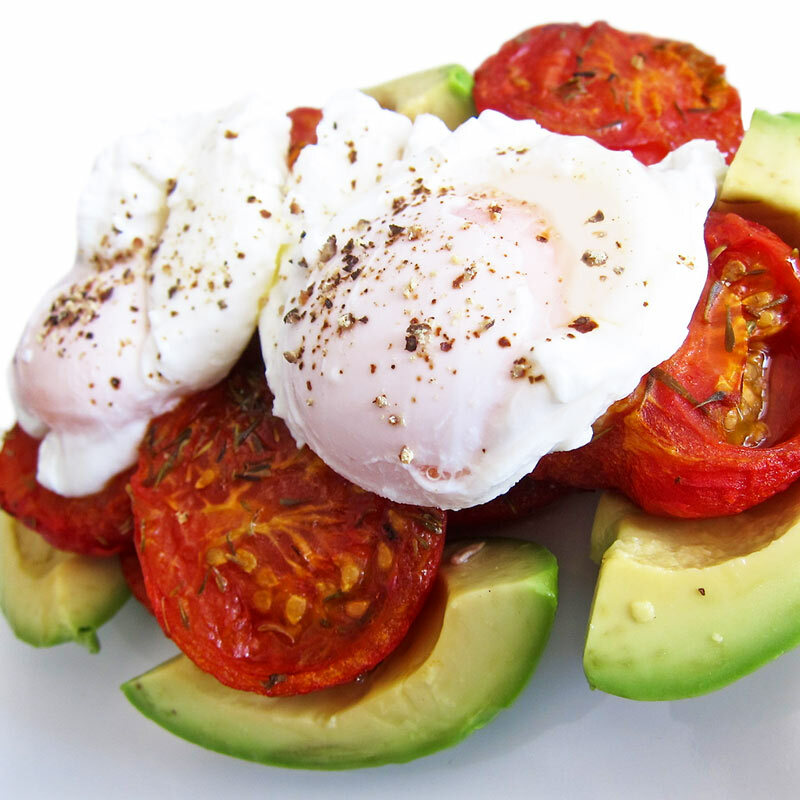 That’s it – perfectly poached... Put the pan in a 350 degree oven for 8-10 minutes. Use a slotted spoon to scoop the eggs out. Check that the whites are nice and firm, then serve or store in your fridge. How to make perfectly poached eggs. Oven method. Step 1: Preheat oven to 180 degrees celsius. Step 2: Crack eggs into a muffin baking tray and pour 1 tablespoon of tap water over each egg.